Recently I was studying Google’s management philosophy where I was struck by one of their principles: “make mistakes well”. On initial presentation, this would seem to be counter intuitive, yet it is hard to dismiss when examining the success of the Google enterprise. Surely, “making mistakes well”, is an oxymoron? Over recent years we have sought to crush failure in our organisations, and this has resulted in burgeoning bureaucracy with the resulting diminution of innovation. Disruption in business is revolutionising the way that we work and deliver services. It throws the rules out, and reinvents the way work is done by focussing on the outcome. Kelvin is a strategic systems thinker with experience in Human Factors and organizational re-engineering. He developed his systems thinking approach working in the military aviation environment for 10 years for the Royal Australian Air Force. Following this, for 10 years, he led a systems and risk management program across Asia Pacific and Europe with Compass Group Plc, the world’s largest support service company. More recently he was working for Sinclair Knight Merz as the Global General Manager for Safety and Wellness, to deliver an international leading program for health safety environment and community (HSEC) in the engineering and project management business. Kelvin worked with the Australian Commission on Safety and Quality in Health Care to develop the national accreditation system for all health care providers across Australia. He also worked with the UK National Health Service Institute for Innovation and Improvement to deliver the Productive Leader and Productive Ward programs in Australia and New Zealand. Formerly he was the Director of Clinical Quality and Safety for NSW Health, responsible for leading the development and implementation of the state-wide clinical quality and patient safety framework standards guidelines, and indicators to improve clinical health care safety and quality for patients of NSW the public health system. He was responsible for shaping the state and national agendas for clinical health care safety and quality through provision of expert advice to the NSW Health Management Board and the NSW Minister of Health. Currently he holds board positions with the Food Safety Information Council and the Art of Work. He is also a committee member with the Safety Institute of Australia. A conversation that still rings in my mind is one with a person who was busily pre-filling a number of hazard inspections for the day during a pre-start meeting. He proudly described how he knew exactly what to look for and more importantly what his supervisor who collected the forms expected to see. It seemed what was once intended as a good risk management practice had now become a pointless tick and flick exercise. It started me thinking about how we can shift the focus to enabling people to take responsibility for their work environments, rather than meeting bureaucratic accountabilities. Marc began his career working with not for profits and large private and public sector organisations facilitating performance improvements, focusing on strategy, people engagement and enabling leaders. Creativity and different thinking have been at the heart of building more effective leaders and teams. Marc has founded and led several successful ventures, including an incubator for small business start ups, a large national workplace psychology and organisational practice and a thriving Workplace Health and Safety consulting to high risk and complex organisations. Along the way Marc has completed a Bachelor of Social Studies, covering psychology, sociology and political science, a Masters in Occupational Health and Safety and is currently undertaking research into organisational decision making and performance. Marc is recognised as a highly skilled safety and work practitioner, facilitator, and is the Chief Enabler at Art of Work. The talk was oversubscribed, which tells me that the extent of the wellbeing challenge in the workplace is immense. I posed a question to the audience. “What do we give someone who has a headache?” Most answered…. headache tablets. That’s so true of today, yet what if all they need is a glass of water because their real need is that they are dehydrated! What would be the impact if we approached the wellbeing challenge from this perspective? Pete holds an Honours Degree of Commerce, a Post Graduate Diploma of Higher Education, is an honorary Fellow of the Australian Institute of Business, internationally published author and speaker, and an education resource to The Executive Connection. 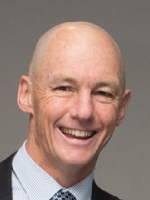 Pete’s experience lies in the design and delivery of large scale leadership, culture transformation and safety leadership programs, which he has delivered throughout Australia, New Zealand, as well as South Korea, Dubai, Denmark and South Africa. His industry experience includes Construction, Aviation, Oil and Gas, Manufacturing, Infrastructure, Mining, Recycling, Utilities, Freight, Rail, Banking as well as various government departments and agencies. Pete’s passion lies in harnessing his experience to assist leaders and organisations shift the paradigm of how they manage and enable Wellbeing by taking a systemic approach to meeting real needs.